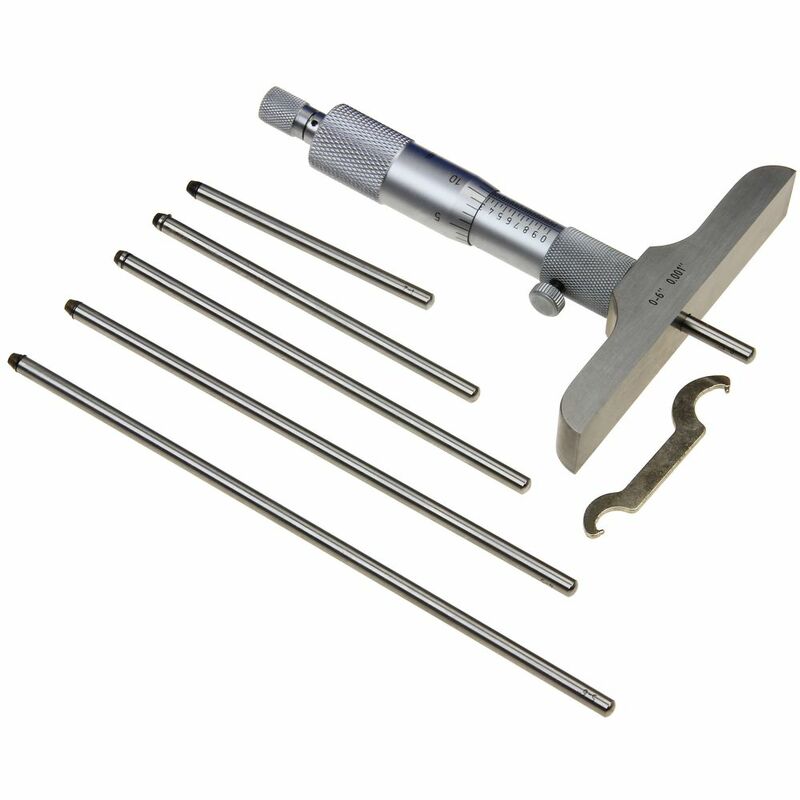 Use Depth Micrometers for measuring the depth of small holes, small fabricated articles with grooved or elevated surfaces or different depths or heights. 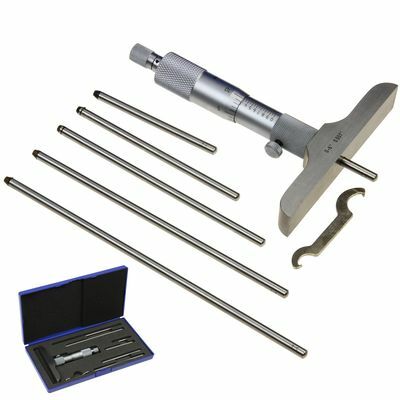 Particular attention has been paid in obtaining the accuracy of the contact surface of the rod and its straightness. Clear microfine graduations .001" on satin chrome finish. Base of tool steel hardened, precision ground and microlapped. All other surfaces satin chrome finished. Includes 6 Rods for measurment of 0-6". Quick and easy zero adjustment. 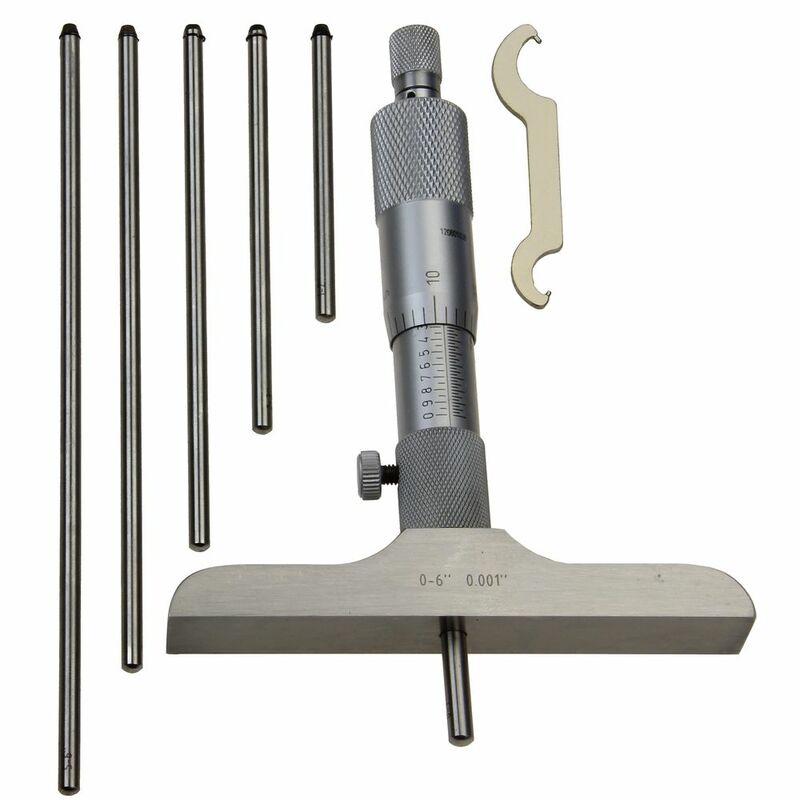 Rods hardened, ground and lapped on measuring surfaces and adjustable in either direction. Measuring range per rod is 1" and .176" in diameter. 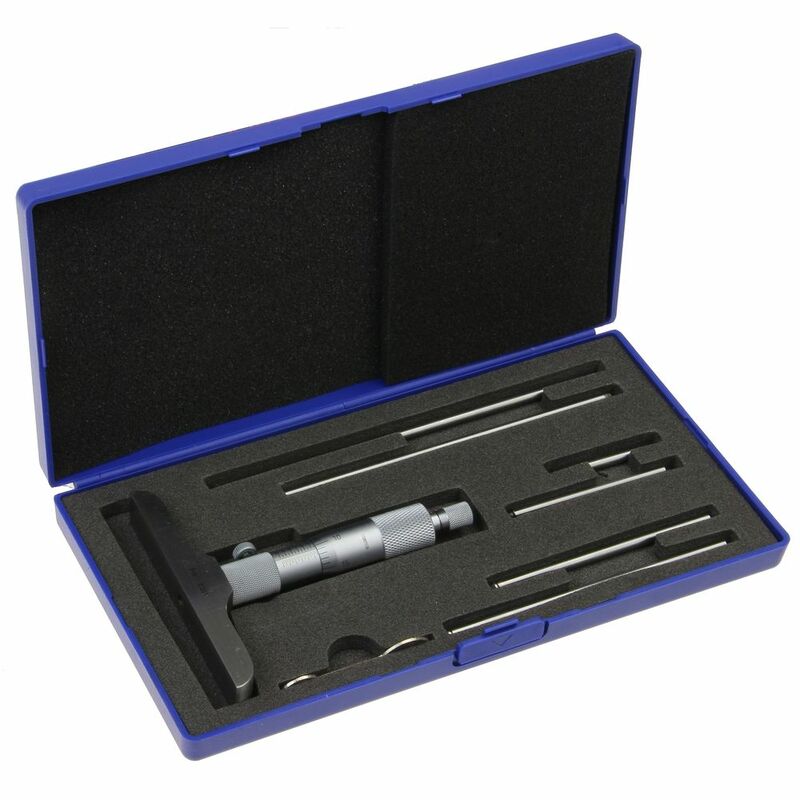 Interchange- able rods are fitted to the micrometer spindle against a positive stop and locked. Ratchet thimble for consistent repeated accuracy. Threads hardened, ground and lapped for accuracy. Meets or exceeds Federal accuracy specifications. Includes spanner wrench and fitted case.